We are engaged in offering Radio Antenna. Selected specifically for use with WaveMAX-SA outdoor wireless link, the antenna range features a selection of frequently used antenna models including 60°, 90° and 120° sector antennas and 360° omni-directional models. - 2.4GHz and 5GHz options. We are engaged in offering Car Antenna. In order to meet excellent quality standards, we are supplying Car Antenna. 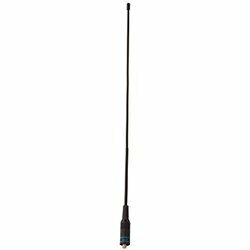 Station Antenna is an ergonomically designed Two Way Radio Antenna. Station Antenna, that we offer, is accurately dimensioned and gives reliable performance. This Station Antenna has varied applications. Puncom’s Radio products cater to ever-growing needs of wireless communication in remote or inaccessible locations and provide ease of operation and maintenance through standard and customized network management solutions. Matching up with the ever increasing requirements of the customers, our company is engaged in providing FM Antenna. 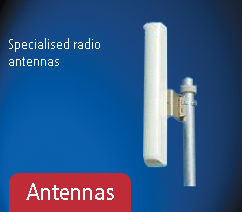 We are a renowned name, which is engaged in offering Radio Antenna. we have all types of specific car fm antenna e.g eeco , van , swift, alto, maruti , etc. fir more details contact me through whatsapp. Our reputed entity is engaged in supplying Car Antenna.